The Stackpole team earned national recognition at this year’s 11th Annual SIAA Awards, with a Gold Award honoring the agency’s creativity and accomplishments in the service industry. Winning Gold in the Magazine Advertising Series Category for fleet leasing client, Merchants Fleet Management’s “Go Further” print campaign, Stackpole secured top honors in a pool of over 1,700 entries across the country. A national panel of industry specialists evaluated and rated submissions in eight groups and 26 categories, granting 152 Gold Awards, 111 Silver Awards and 82 Bronze Awards overall. 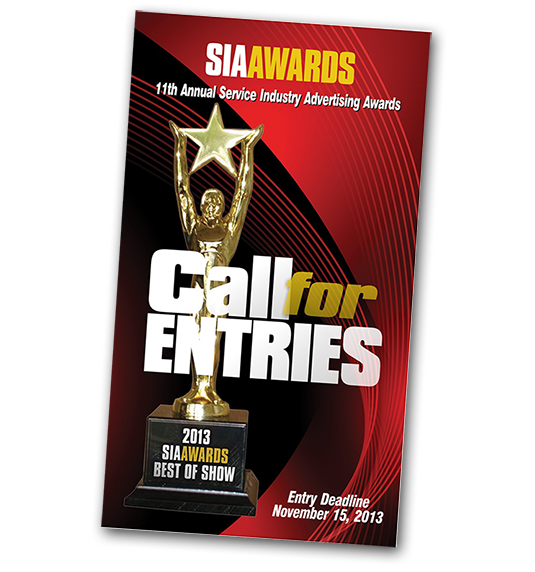 More than 500 advertising agencies and over 1,000 institutions submitted their work to the 2014 SIAA Awards. The Service Industry Advertising Awards (SIAA) originated in 2003 to celebrate the contributions made to a wide variety of service industries by communications and marketing professionals. Award certificates are given to those entrants whose programs and materials display exceptional quality, creativity, and message effectiveness. Categories considered include newspaper and magazine advertising, newsletters and direct mail, outdoor/transit, annual reports, posters, brochures, logo design, collateral, website design, social media, digital advertising, mobile app design, radio and television, and special video production. Special Campaign Categories consist of Total Public Relations Campaign, Total Advertising Campaign and Integrated Campaign (based on two or more channels). Located in Newburyport, Massachusetts, Stackpole is an innovative, full-service, strategic marketing firm. We deliver multi-faceted communications programs for a wide range of regional and national clients, with a particular focus on the banking, financial, legal, consulting and technology markets. Our in-house capabilities cover the full spectrum of marketing services, from the strategic account and media planning and market research to creative concept development and production across all forms of media— print, broadcast, web, direct mail and interactive.